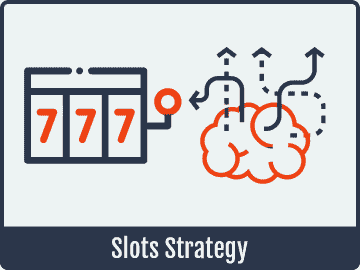 Players have a number of effective strategic options for maximizing their chances of winning when playing online slots. One of the great things about online slots is that they don’t require any kind of complex strategy or the in-depth study of a lot of different intricate parts of the game to have a good chance of winning. This is much different than games like blackjack or video poker, and it’s a big part of the reason why slots are the most popular type of casino game, both online and land-based, in the world. With that having been said, there are a number of things you can do to make sure that your chances of winning and your payout rate is maximized, and we want to teach you what some of those things are here. Playing with fewer than the maximum number of paylines will often deactivate bonus features, dropping your RTP in the process. You’ll sometimes find progressive jackpot games that aren’t actually linked in with the jackpot itself, and these have some of the worst RTPs that you’ll find in the online slots industry. Some games, especially classic slots, will give you worse top payouts if you do not play with the maximum bet size, so you should avoid these games if you can’t play with the maximum wager. Slots with skill-based mini games will give you a worse RTP if you do not practice them ahead of time. You can do this with play money games if you like since many of the play money games have a “feature preview” option that allows you to test out the skill-based bonus round as many times as you want for free. While there are a number of other ways you can maximize your RTP, these are four of the most common basic pitfalls that players make with online slots. In what follows below, we are going to look at other strategic considerations that have a bit more depth to them. A number of classic slots have two sets of reels for what amounts to two different games with two different pay tables and sometimes different symbols. The gameplay will work in a way so that your winnings from the main game transfer to a separate balance for the second game, and you can either collect your winnings back to your main balance or wager them on the second set of reels. In these types of games, it’s almost always the case that maximizing your RTP requires you to always play on the second set of reels when you have the chance to. These games are designed to give you a gameplay element that consists of either collecting your winnings at any given time for any given spin or wagering them for chances at even bigger prizes. The largest jackpot in the game is almost always only available in the second portion of the game, and it’s one of the main ways that classic slots are able to mix things up and give players something exciting and atypical. The bottom line is that, if you’re going to play these games, you should be prepared for a high-volatility experience that centers around putting as much into the second game as you can. If you run up a big win on the second game, that’s when you should consider collecting and ending your session if you’re looking to score a moderate or large win. One aspect of slot strategy that gets overlooked a lot is the actual selection of the games themselves. Different slots have different RTPs, and if you simply pick games that have higher RTPs to begin with, then you’ve already gained quite a bit of ground compared to players who do not. With that having been said, this information isn’t always easy to come by because not all companies publish these figures. Most of the high-end companies do, however, either in the help files for the game or in online databases where they supply the information for public consumption. The most practical way for recreational players to implement this information into their game selection process is to make a simple spreadsheet or text file that includes the name of the top games for that particular online casino, what the RTP is for each and how much you like each game. Then you’ll have a simple list of favorites that you can come back to over and over again. There is one final strategy that we’d like to discuss, and it’s one of the only real strategies for online slots that involve a little bit of consistent work. However, it’s also one of the most effective in terms of raising the average RTP of your play, so it’s something to take into serious consideration. This strategy only works for progressive jackpot games, and the basic idea is to have a list of go-to progressive slots that you like and to pick and choose which you play in each session based on the value that you get from the jackpot. Make a list of the five to ten top progressive jackpot games in the first column of a spreadsheet. In the next column, write out the seed value for the top jackpot for each of those games as a reference. Finally, before each session, go through and check out the current value for each of those jackpots, and keep that information in the third column. Note that you’ll rewrite the information in the third column before each session, but the first two columns always stay the same since that information doesn’t change. When you have this information in front of you, it makes it easier to decide which progressive slot to play. Instead of just going for the one that has the largest top jackpot, you can use this strategy to pick the slot that has the largest jackpot relative to the seed value. Consider the following example. Let’s say that Slot A has a seed value of $100,000, and Slot B has a seed value of $1 million. If the current value of the jackpot for Slot A is $300,000, and the current value of the jackpot for Slot B is $1.5 million, you might be tempted to go after the $1.5 million just because it’s larger. However, it’s really only 50 percent higher than the seed value. Slot A’s progressive is a whooping 300 percent of the seed value, meaning that it’s giving you more of an effect on the overall RTP of the game. Since maximizing the RTP is what we’re after, it’s clear to see how this strategy works out in terms of giving players the best RTP with an advanced form of game selection. With that having been said, only playing progressive jackpot slots will also bring along with it a very substantial increase in the average volatility of your sessions, which is something that some players aren’t prepared to deal with. While it’s true that there are limited options for really getting a huge bump in your RTP when playing slots, the fact of the matter is that these strategies that we have detailed will help you to keep it as high as possible. When you use these strategies in conjunction with good bankroll management and the solid use of bonuses and promotions, you have the best chances overall of coming out on top over the long run when playing online slots.